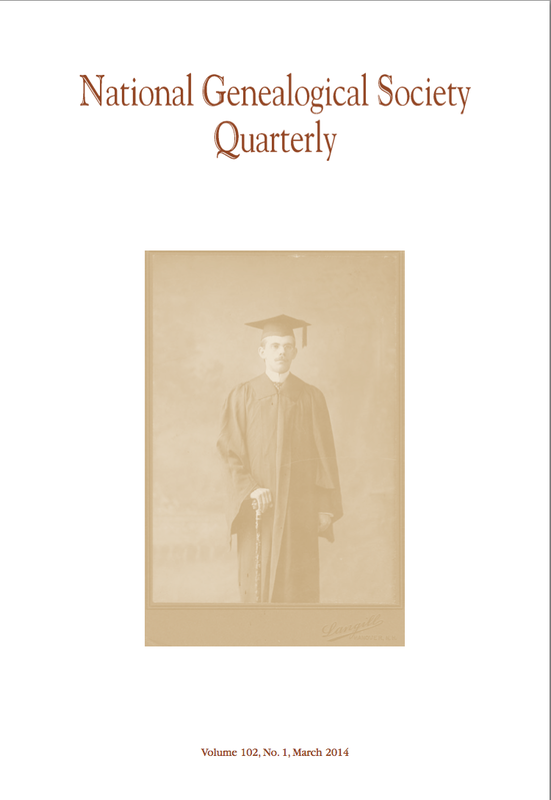 Volume 102, Number 1 of the National Genealogical Society Quarterly is now available online in the Members Only section of the website. · Explaining the Sudden Disappearance of Mitch Evins of Texas and Georgia, by William M. Litchman, Ph.D.
· Notes and Documents – Calculating and Using Dates and Date Ranges, by Barbara Levergood, Ph.D.
Editor’s Note: Please note that online access to the NGS Quarterly and NGS Magazine are available only as long as your membership is active. If you wish to discontinue this option and continue to receive print copies of the journal, please with our website and update your profile to indicate the same.